News || Design: Kristina Stark. The Botan range is awarded the winning prize Formex Formidable! 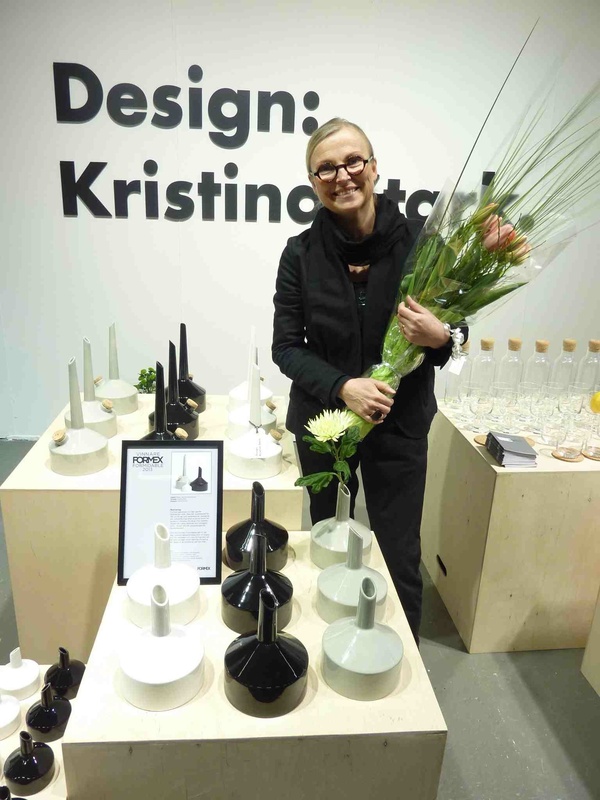 At the recently concluded Formex design fair in Stockholm my new stoneware range Botan was awarded the winning prize of Formex Formidable! My other products have been nominated for Formex Formidable four times – and this time the Botan range was the winner! I am really happy and grateful for this prize! The competition includes 20 pieces of nominated products and the following criteria must be met in order to be nominated: The product must have been exhibited at Formex spring or autumn the current year. The product must also be new for the year, judged by the height and quality of the design and must be typical of the current time period. If you want to read the press release in Swedish please click on the link below. Now it’s off to Formex in Stockholm – it will be exciting! Finally the new website is completed – heartly welcome!